Tiger Zinda Hai earned ₹ 0.08 Cr between day 50-56, Now Total Collection ₹ 339.16 Cr ! 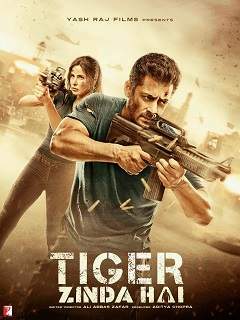 Updated: Tiger Zinda Hai earned ₹ 0.07 Cr on its 47th Day, Now Total Collection ₹ 339.08 Cr ! Tiger Zinda Hai earned ₹ 0.07 Cr on its 49th Day, Now Total Collection ₹ 339.09 Cr! Tiger Zinda Hai earned ₹ 0.07 Cr on its 48th Day, Now Total Collection ₹ 339.02 Cr! Tiger Zinda Hai earned ₹ 0.08 Cr on its 47th Day, Now Total Collection ₹ 338.95 Cr! Tiger Zinda Hai earned ₹ 0.08 Cr on its 46th Day, Now Total Collection ₹ 338.87 Cr! Tiger Zinda Hai earned ₹ 0.27 Cr on its 45th Day, Now Total Collection ₹ 338.79 Cr! Tiger Zinda Hai earned ₹ 0.18 Cr on its 44th Day, Now Total Collection ₹ 338.52 Cr! Tiger Zinda Hai earned ₹ 0.15 Cr on its 43rd Day, Now Total Collection ₹ 338.34 Cr! Tiger Zinda Hai earned ₹ 0.19 Cr on its 42nd Day, Now Total Collection ₹ 338.19 Cr! Tiger Zinda Hai earned ₹ 0.23 Cr on its 41st Day, Now Total Collection ₹ 338 Cr! Tiger Zinda Hai earned ₹ 0.21 Cr on its 40th Day, Now Total Collection ₹ 337.77 Cr! Tiger Zinda Hai earned ₹ 0.21 Cr on its 39th Day, Now Total Collection ₹ 337.56 Cr! Tiger Zinda Hai earned ₹ 0.66 Cr on its 38th Day, Now Total Collection ₹ 337.35 Cr! Tiger Zinda Hai earned ₹ 0.48 Cr on its 37th Day, Now Total Collection ₹ 336.69 Cr! Tiger Zinda Hai earned ₹ 0.65 Cr on its 36th Day, Now Total Collection ₹ 336.21 Cr! Tiger Zinda Hai earned ₹ 0.23 Cr on its 35th Day, Now Total Collection ₹ 335.56 Cr! Tiger Zinda Hai earned ₹ 0.45 Cr on its 34th Day, Now Total Collection ₹ 335.33 Cr! Tiger Zinda Hai earned ₹ 0.60 Cr on its 33rd Day, Now Total Collection ₹ 334.88 Cr! Tiger Zinda Hai earned ₹ 0.70 Cr on its 32nd Day, Now Total Collection ₹ 334.28 Cr! Tiger Zinda Hai earned ₹ 1.84 Cr on its 31st Day, Now Total Collection ₹ 333.58 Cr! Tiger Zinda Hai earned ₹ 1.20 Cr on its 30th Day, Now Total Collection ₹ 331.74 Cr! Updated: Tiger Zinda Hai earned ₹ 0.79 Cr on its 29th Day, Now Total Collection ₹ 330.54 Cr ! Tiger Zinda Hai earned ₹ 0.78 Cr on its 29th Day, Now Total Collection ₹ 330.53 Cr! Tiger Zinda Hai earned ₹ 0.78 Cr on its 28th Day, Now Total Collection ₹ 329.75 Cr! Tiger Zinda Hai earned ₹ 0.88 Cr on its 27th Day, Now Total Collection ₹ 328.97 Cr! Tiger Zinda Hai earned ₹ 1.02 Cr on its 26th Day, Now Total Collection ₹ 328.09 Cr! Tiger Zinda Hai earned ₹ 1.36 Cr on its 25th Day, Now Total Collection ₹ 327.07 Cr! Tiger Zinda Hai earned ₹ 3.27 Cr on its 24th Day, Now Total Collection ₹ 325.71 Cr! Tiger Zinda Hai earned ₹ 2.12 Cr on its 23rd Day, Now Total Collection ₹ 322.44 Cr! Tiger Zinda Hai earned ₹ 1.46 Cr on its 22nd Day, Now Total Collection ₹ 320.32 Cr ! Tiger Zinda Hai earned ₹ 2.12 Cr on its 21st Day, Now Total Collection ₹ 318.86 Cr ! Tiger Zinda Hai earned ₹ 2.30 Cr on its 20th Day, Now Total Collection ₹ 316.74 Cr ! Tiger Zinda Hai earned ₹ 2.56 Cr on its 19th Day, Now Total Collection ₹ 314.44 Cr ! Tiger Zinda Hai earned ₹ 2.72 Cr on its 18th Day, Now Total Collection ₹ 311.88 Cr! Tiger Zinda Hai earned ₹ 8.27 Cr on its 17th Day, Now Total Collection ₹ 309.16 Cr! Tiger Zinda Hai earned ₹ 5.62 Cr on its 16th Day, Now Total Collection ₹ 300.89 Cr ! Tiger Zinda Hai earned ₹ 3.72 Cr on its 15th Day, Now Total Collection ₹ 295.27 Cr ! Tiger Zinda Hai earned ₹ 5.09 Cr on its 14th Day, Now Total Collection ₹ 291.55 Cr ! Tiger Zinda Hai earned ₹ 5.84 Cr on its 13th Day, Now Total Collection ₹ 286.46 Cr ! Tiger Zinda Hai earned ₹ 7.83 Cr on its 12th Day, Now Total Collection ₹ 280.62 Cr ! Tiger Zinda Hai earned ₹ 18.04 Cr on its 11th Day, Now Total Collection ₹ 272.79 Cr ! Tiger Zinda Hai earned ₹ 22.23 Cr on its 10th Day, Now Total Collection ₹ 254.75 Cr ! Tiger Zinda Hai earned ₹ 14.92 Cr on its 9th Day, Now Total Collection ₹ 232.52 Cr ! Tiger Zinda Hai earned ₹ 11.56 Cr on its 8th Day, Now Total Collection ₹ 217.6 Cr ! Updated: Tiger Zinda Hai earned ₹ 34.10 Cr on its 1st Day, Now Total Collection ₹ 206.04 Cr ! Updated: Tiger Zinda Hai earned ₹ 15.42 Cr on its 7th Day, Now Total Collection ₹ 205.69 Cr ! Tiger Zinda Hai earned ₹ 17.55 Cr on its 7th Day, Now Total Collection ₹ 207.82 Cr ! Tiger Zinda Hai earned ₹ 17.55 Cr on its 6th Day, Now Total Collection ₹ 190.27 Cr ! Tiger Zinda Hai earned ₹ 21.60 Cr on its 5th Day, Now Total Collection ₹ 172.72 Cr ! Tiger Zinda Hai earned ₹ 36.54 Cr on its 4th Day, Now Total Collection ₹ 151.12 Cr ! Tiger Zinda Hai earned ₹ 45.53 Cr on its 3rd Day, Now Total Collection ₹ 114.58 Cr ! Tiger Zinda Hai earned ₹ 35.30 Cr on its 2nd Day, Now Total Collection ₹ 69.05 Cr ! Tiger Zinda Hai earned ₹ 33.75 Cr on its 1st Day, Now Total Collection ₹ 33.75 Cr ! 'Tiger Zinda Hai' going to be the biggest blockbuster of 2017, Salman Khan and Katrina Kaif are playing the lead role in this film.